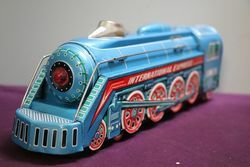 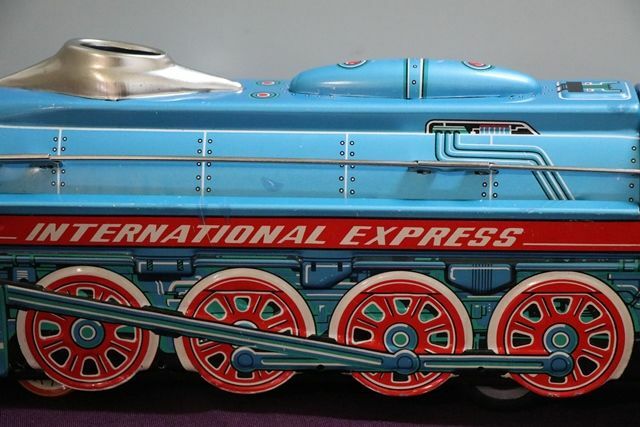 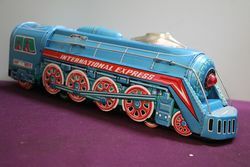 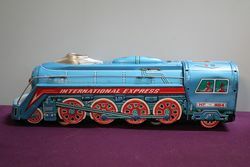 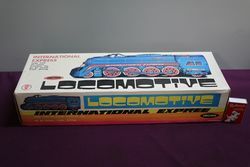 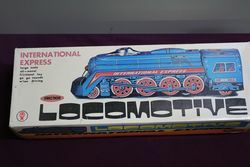 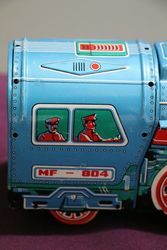 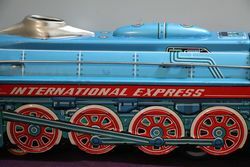 Toy International Express Locomotive Friction Operation with Engine Noise. 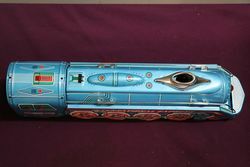 All metal. 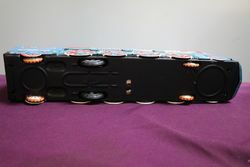 Box Minor Scuffing , No tears . 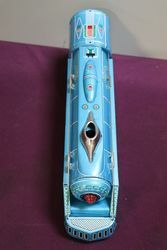 40cm wide x 12cm high .